Today, Leonard Nimoy (better known as Mr. Spock) passed away after a long and prosperous life. As someone who really enjoyed his work and found his public presence to be a positive one, it only seemed appropriate to name today’s brew in his honor. I had a porter recipe that was otherwise untitled…thus, “Live Long and Porter” was born. I mashed in with 3.125 gallons of water at 172°; the mash stabilized at 155°. I let the mash sit for 80 minutes and then added 1.15 gallons of water at 190°. I let the mash rest for 20 minutes, and collected 3 gallons of wort. I added 3.15 gallons of water at 190°; the mash was a little too hot, so I added ~0.25 gallons of ice cubes to bring the temperature down to 168°. I let this sit for 20 minutes. In total, I collected 6.85 gallons of wort, with a gravity of 1.043 at 60°. This works out to roughly 83% efficiency! 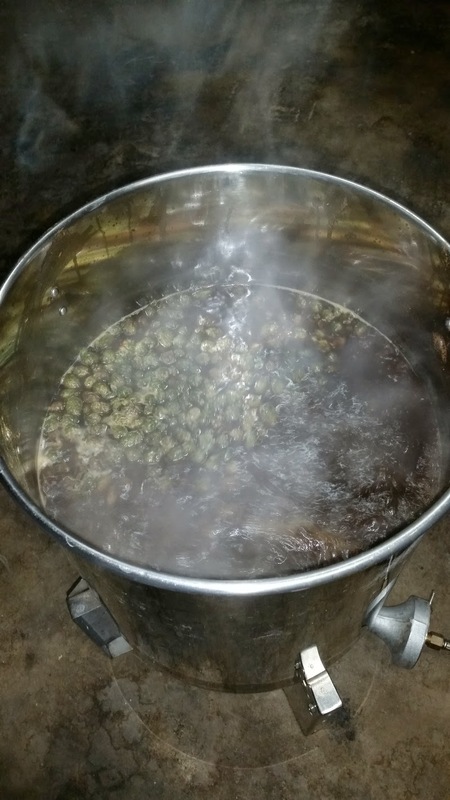 I brought the wort to a boil and added the first round of hops. These were boiled for 60 minutes total; the second hops addition was boiled for 20 minutes. For the last 15 minutes of the boil, I added 1 tsp. of Irish moss. After 60 minutes of boiling, I removed the kettle from the heat and cooled it down using my wort chiller. Final volume in the kettle was roughly 6.2 gallons. The “official” measured starting gravity was 1.050 at 60°; this is just a hair above my predicted target (1.048), but well within the bounds of acceptability. The wort is a rich, chocolatey brown…very pretty! I ended up with around 5.75 gallons of wort in the fermenter (after adding the starter), with a starting temperature of approximately 72°. I pitched the entire yeast starter and transferred the whole lot into the fermentation chamber. I’ll ferment it at 66°. This entry was posted in brown porter, porter and tagged LLAP. Bookmark the permalink.